There are nearly 5,000 known species of frogs. Have to live near water. Have a moist, smooth skin that make them look 'slimy'. Eat insects and large ones eat small snakes, mice and even smaller frogs. Food has to be 'living' when it is eaten. Sticky tongue is thrown out of its mouth and wraps around the prey. Have poor eyesight but a great sense of hearing. Have an eardrum on the outside of their head. Have powerful bag legs and webbed feet which means that they can leap/jump and swim. Dig a burrow for hibernation. Some frogs live in trees. Because red and orange are usually considered to be 'warning signs' so will warn off predators. Predators are birds, fish and reptiles and humans. Can be hypnotised by placing it on its back and gently stroking its stomach. A Wood Frog can be frozen solid and still be alive when it is reheated. The Southern Cricket Frog can jump up to 60 times its own length … that is like a human jumping a 38 storey building. 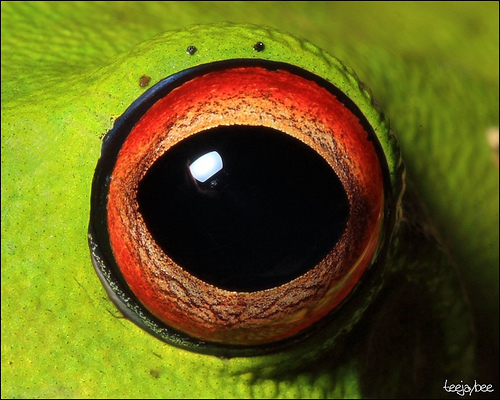 You can see the organs inside the tropical Glass Tree Frog. 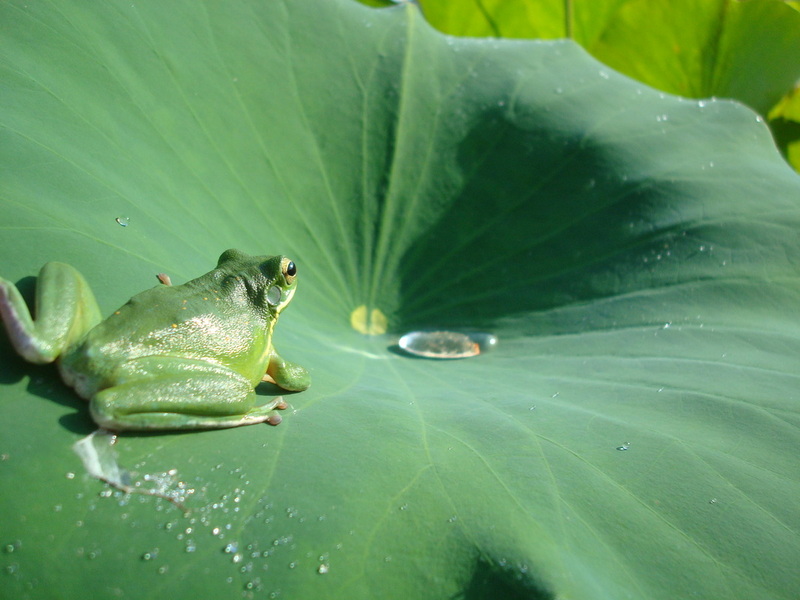 The tadpole of the Paradox Frog is larger than the frog itself. It takes about three and half months for a tadpole to change into a frog. Cannot swallow with their eyes open. Absorbs all the water they need through their skin … they don't drink it. Many tree frogs freeze in Winter and spring back to life in the Spring. Find their way back to their breeding grounds by following the smell of the pond's algae. 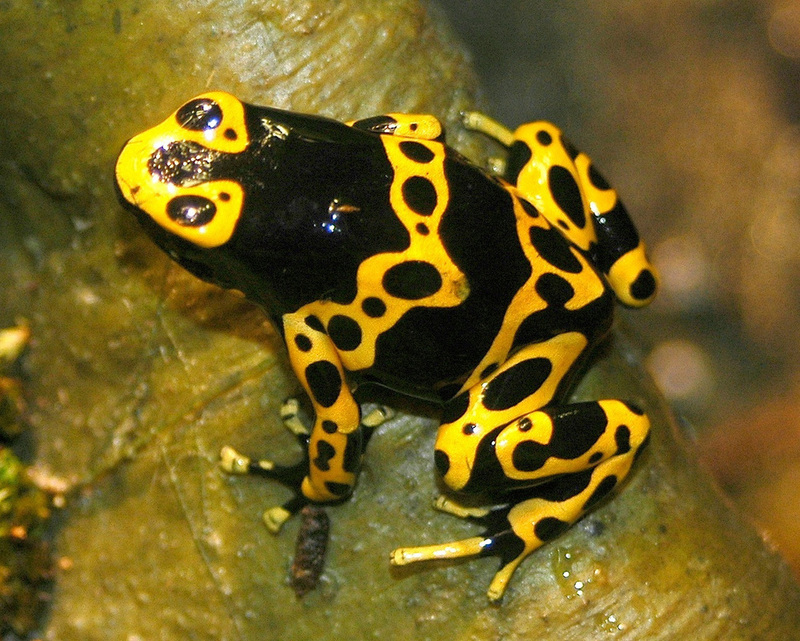 The Golden Poison Dart Frog is one of the most toxic creatures on earth - the venom of one frog can kill ten grown humans. Red-eyed tree frog's eggs can hatch early if they sense danger. Male Darwin Frogs incubate their eggs in their mouths. 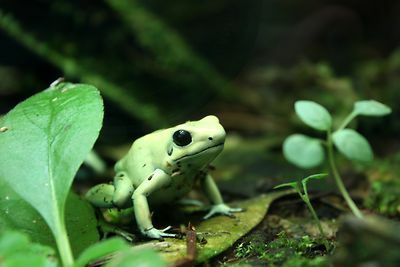 Young Panamanian Golden Frogs protect themselves with toxic skin secretions. Fourteen new species of dancing frogs were discovered in 2014. 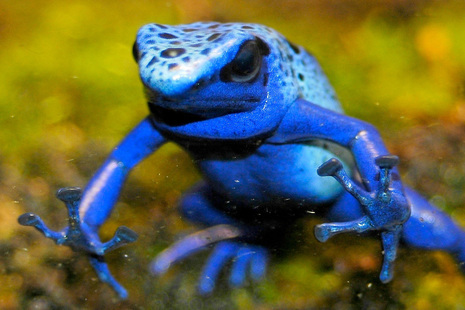 The global number of known dancing frog species is now 24.